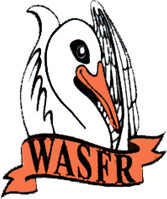 Western Australia Self Funded Retirees Inc better known as WASFR represents and promotes the interests of fully and partly self-funded retirees residing in WA. We are open to membership from all over the State. – To protect and advance the interests of retirees who have funded, in whole or in part their own retirement. – To gain recognition, as a body speaking for self-funded retired or semi-retired people at Federal, State and Local Government level, by the community at large and by the media. – To procure for its members: benefits, rebates and concessions equivalent to those granted to Aged Pensioners, from all levels of government, health organizations, business and commerce. – To prepare papers and submissions to transmit the views of the Association to Federal, State and Local Governments and to seek changes in the laws to benefit its members. – To provide a forum for positive, like-minded people.